Pictured below is Petrova Faith Jones, President of Petrova Jones Music Inc.
PETROVA JONES is the President and Founder of Petrova Jones Music. She has over 14 years of public and private school music teaching experience, over 18 years in private lesson teaching, and holds her Bachelors Degree in Music, graduating at an early age of 19 from PBAU. She then received her Masters Degree in Education from MSU. She is also state certified in Music K-12 and Elementary Education K-6, and through these certifications had gained extensive experience also working with children with special needs, behavioral challenges and autism. She is also the administrator of our Home School Academic Support Program at our storefront on Tuesday through Thursday mornings, In her musical studies, she was a piano performance major and vocal performance major. Her concentrations were classical piano, and musical theater for vocal studies. She had extensive musical theater training additionally, as a child performer, even working within the theater scene in London, England where she grew up, and later in Palm Beach, Florida. Through her travels she now speaks several languages fluently. She teaches with passion and feels it is her mission to make a difference in the life of every child, in a way that works for them. Customizing music education to meet the needs of the individual child is her goal and passion, versus strict method book teaching. She is wait list currently and her role is designed to take on the advanced vocalists and advanced pianists at the store, if they outgrow their current teachers. She has over 125 weekly long term clients additionally. BRIAN JONES is the Vice President of Petrova Jones Music, and husband of Petrova. He may not be a 'natural' musician, but he is the mastermind behind the business operations. He is also the leader of the STEAM initiative at Petrova Jones Music and helps to design and implement the STEAM program in local K-12 schools and into the home school support program that they offer at their store front. He is very experienced in STEAM education, with a past teaching over 8 years in pubic school as a STEM teacher, specifically teaching technology, business, and shop. He even had his team of students win the great space race for the world in the past, and they were honored at Kennedy Space Center in 2013! He does so much behind the scenes! He runs the store fronts, greets and helps customers with daily needs, handles the book keeping, marketing and also is known for his incredible demeanor and personality when dealing with their customers daily. Brian has over 10 years of teaching experience and has worked with children of all ages, specifically middle school. He also teaches our homeschool program during the mornings on Wednesdays and Thursdays. When he is not handling these responsibilities he is 'super dad' to their home schooled son, Aidan and fur-baby, golden retriever, Stella! MR. ELVIS holds his Bachelor's Degree in Music from Five Towns College in New York. He was a guitar and percussion major, and has also extensive training in piano and audio engineering. He is the MANAGER and LEAD INSTRUCTOR of Petrova Jones Music at the Paar Center and lead instructor at the store. Elvis is a caring and passionate instructor who spends his free time customizing new pieces for his students, writing specific arrangements just to meet their needs. He has over 7 years of private lesson teaching experience and band directing, specifically in his very popular 'Future Rockers' classes. I guess that is why he truly is the King of Rock and Roll! He is known for giving 110 percent to every lesson, and has excellent rapport with his students and their families. His students are challenged and very motivated yet they still know how to truly have fun playing music, and they understand the fundamentals of reading the music and theory behind their studies . He has been with our company sine 2013, and currently teaches private lessons in drums, guitar, bass, and piano, as well as small group lessons in store. Additionally, he also teaches general elementary music classes and our popular 'FUTURE ROCKERS' class for our company. He works well with children with autism and special needs and is very well requested! MISS ANDJELA is one of our excellent private lesson teachers and group lesson instructors for both piano and vocals. 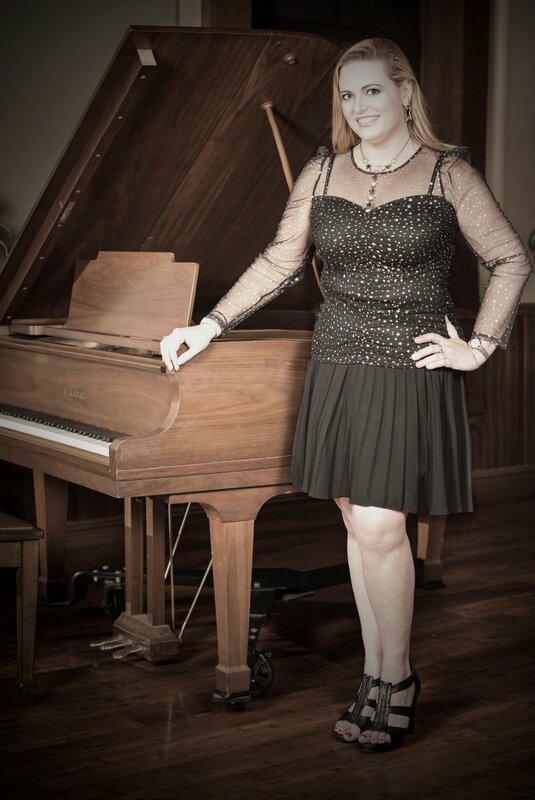 She is a valued member of our team and also a very talented pianist and singer. She is also a music major in University. She was taught by Petrova from middle school age, and she has learned her techniques from the best. Her discipline, yet love for her students is evident, and the results are always apparent at every recital. Her students are always prepared, reading music, and sounding fantastic. Above all, she instills that love and passion for the Art that is so essential. She is an invaluable asset to our team. MISS MICHELLE is an amazing private lessons instructor, home school teacher and STEM AND LEGO ROBOTICS teacher. She specializes in private lessons in guitar, ukulele, (all levels), piano, violin and strings, beginner band, and vocal coaching. She also works as a mobile music and STEM teacher, currently going into All Villages Pre school with LEGO Robotics, and NAU Charter with Group Violin class. She is wonderful with students who are difficult to reach, have difficulties opening up, or are just a little shy. Michelle just has an amazing way of getting through to that inner gift that those children may possess. She is soft spoken herself, yet so effective. She also has a calming and amazing effect in working with ADD and ADHD children and in their productivity. A veteran student of Petrova Jones, she has learned from the best. She has aquired many tools of the trade, and she applies them. Additionally, she has her own amazing God given talents. She has brought people to tears with her vocal and guitar skills, and performs locally, though she is very humble about that. She is currently expanding her music skills through studies towards becoming a piano technician. Mr. Tate is one of our private lessons instructors, and home school teachers. He is very naturally gifted at working with and understanding the specific needs of our students with autism. He specifically works with our students with special needs in our home school programs and teaches private lessons in guitar, ukulele, bass, vocals, drums, and beginner piano. Mr. Tate represents PJM Inc. as Rent my instrument affiliates by going into local band classrooms to promote our band instrument rental program as well! He is an avid songwriter, and is a warm, giving, and sweet spirited musician with raw talent and a genuine love and passion for teaching. In his spare time, Mr. Tate enjoys fishing and collecting reptiles. Miss Kim is the newest addition to the PJM Inc. Team, she works the front desk and assists multiple group classes. She started studying music at the age of ten by joining her school’s junior chorale program, continuing throughout both middle, high school, and college. In both her junior and senior year of high school she was elected Choral President of Treasure Coast High School’s Chorus. She also has experience in live video production and is certified in various Adobe multimedia programs. Currently, Miss Kim is in college, studying music at Indian River State College and has been awarded their Vocal Scholarship.